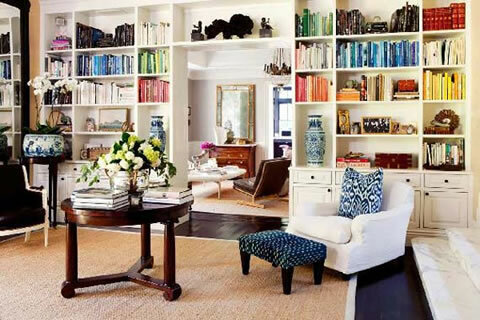 If you love reading and you are lucky enough to have a house big enough to devote one room to the library, then surely you know you must be a space of calm and concentration. Therefore, this space should be comfortable, furnished wisely and detail that we give ourselves the pleasure of reading or focusing on our work. 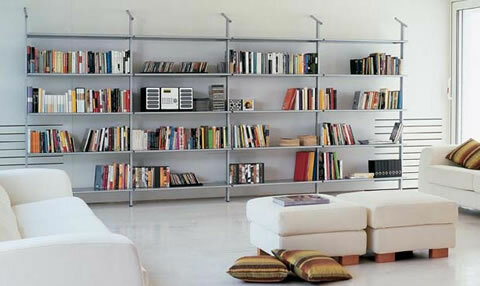 They are indispensable a good rack, a comfortable chair and a desk study. So is putting a good light.Ã‚Â It is recommended you have available in plenty of natural light during the day and not very bright lights targeted for the night. As advice, it is preferable to put the desk in front of the window to take advantage of daylight. Try your library is sober tone to create a relaxing atmosphere, such as sand, cream, pale yellow, beige, light green or blue. On the other hand, tries to fill all the shelves you have in your library. If books are not enough, place small ornaments, such as picture frames or albums. To give it a chance, put some small tables to support the cafes, lamps or books that are being used. 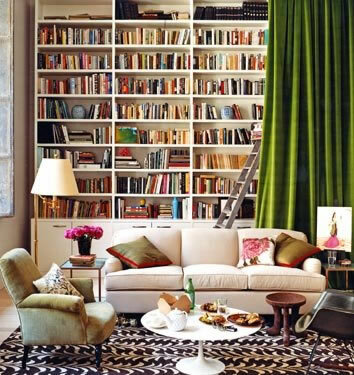 This entry was posted in DIY, Home Office, Interior, Workplace and tagged Tips to build your reading space. Bookmark the permalink.